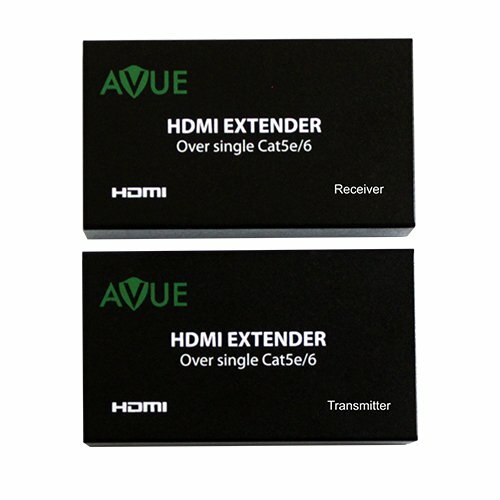 AVUE HDMI-EC200 is an HDMI extender using a single cat5e/6/7 cable for up to 200 Feet between the sender TX and receiver rx unit. It supports a wide spectrum of HDMI input formats that include 1080P, 1080i, 720P, 576P, 576i, 480P, and 480i at 24, 50, or 60 frames; and it also supports variety of audio formats that include DTS-HD, Dolby-True HD, LPCM 7.1, dts, dolby-ac3, and DSD. Additionally, it is 3D content ready. If you have any questions about this product by AVUE, contact us by completing and submitting the form below. If you are looking for a specif part number, please include it with your message.